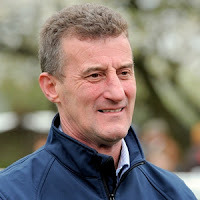 Henry Candy, 73, has been training at Kingston Warren, Wantage, Oxfordshire since 1974, but previously spent a year as working pupil with Tommy Smith in Sydney, a year as pupil assistant to Mick Bartholomew in Chantilly and seven years as assistant trainer to his father, Derrick. In the early years of his career, Candy trained predominantly for owner breeders and achieved most of his success with middle-distance horses. Master Willie failed by three-quarters of a length to overhaul Henbit in the Derby in 1980, but returned to Epsom to win the Coronation Cup the following season, along with the Eclipse Stakes at Sandown. Described by Candy as “the best horse I have trained”, Time Charter won the Oaks at Epsom and the Dubai Champion Stakes at Newmarket in 1982, the King George VI and Queen Elizabeth Diamond Stakes at Ascot in 1983 an the Coronation Cup at Epsom in 1984. According to Timeform, she was ranked fourth in the list of post-war Oaks winners, behind Petite Etoile, Noblesse and Dunfermlime, with rating of 131. 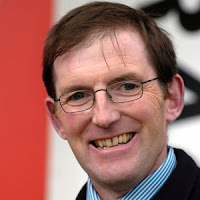 However, later in his career, simple economics forced Candy to reinvent himself as a trainer of sprinters but, as he once said, “I thoroughly enjoy going to the sales trying to pick up things which no one else wants.” His first sprinter of note was Eveningperformance, who won seven races for the yard, including the Flying Five at Leopardstown, between 1994 and 1997. The Night Shift filly also finished third, beaten 2¾ lengths, in the Prix de l’Abbaye de Longchamp in 1995 and second, beaten a head, in the Nunthorpe Stakes at York in 1996. In 2002, Candy won the Nunthorpe Stakes at York with Kyllachy and the Cheveley Park Stakes at Newmarket with Airwave, whom he had acquired for just £12,000. Another bargain buy was Amour Propre, who cost just £1,500, but won five of his 17 starts, including three Group races, and earned just over £139,000 in total prize money between 2008 and 2011. Having recovered from cancer, the Ulsterman began his training career in Penrith, Cumbria, where he stayed for 10 years before being offered the chance to take over at Jackdaws Castle, the 400-acre training complex in Gloucestershire owned by John Patrick “J.P.” McManus. 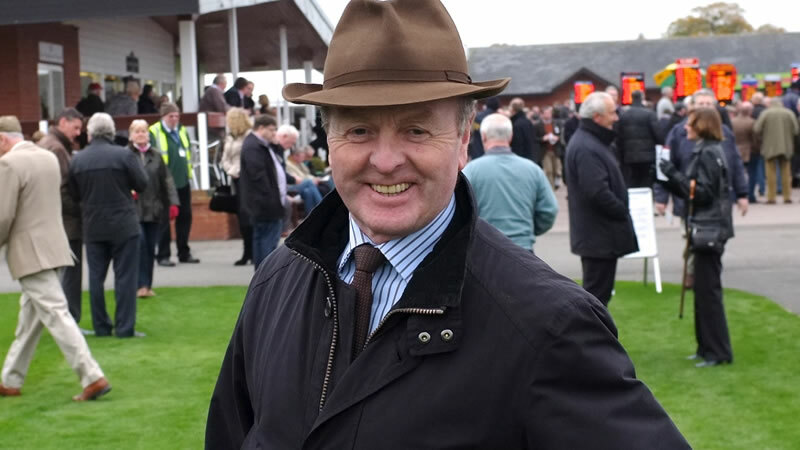 Jonjo O’Neill trained 100 winners in a season for the first time in 2001/02 and, in the interim, has reached that milestone on another six occasions, including 26 winners at the Cheltenham Festival. Notable winners at the Cheltenham Festival included Witchita Lineman in the William Hill Trophy in 2009, who was given one of the best, if not the best, rides of his career by A.P. McCoy. Wichita Lineman was sent off favourite, at 5/1, made a series of jumping errors and, although rallying from the second last fence, looked to have no chance of overhauling Maljimar, who was matched at 1.06 on Betfair. But overhaul the flagging leader he did, getting up in the shadow of the post to win by a neck. In 2012, the famous trio hit the headlines again, this time winning the Cheltenham Gold Cup – a race that featured Kauto Star and Long Run – with Synchronised. Jonjo O’Neill rode 885 winners as a jockey and has now saddled over 2,000 winners as a trainer; his son, Jonjo Jr, is now working full-time at Jackdaws Castle and riding as an amateur. James Fanshawe is based at Pegasus Stables – formerly Falmouth Lodge, the stable yard built, but never used, by Victorian jockey Fred Archer – in Newmarket, Suffolk. He worked as assistant trainer to David Nicholson and Sir Michael Stoute before taking out a licence in his own right in 1990. Fanshawe saddled his first winner, Black Sapphire, owned by Sheikh Mohammed and ridden by the late Walter Swinburn, in maiden stakes race at Salibsury in May that year. Less than two later, he’d not only saddled his first Group 1 winner, Environment Friend, in the Coral-Eclipse at Sandown but, from a handful of National Hunt horses, also won the Champion Hurdle at the Cheltenham Festival with Royal Gait in 1992. After a flying start to his training career, Fanshawe had to wait a few years for his next winner at the highest level, Invermark in the Prix du Cadran at Longchamp in 1998. However, in the interim, he saddled numerous winners at Listed and Pattern level, including Bishop of Cashel in the Criterion de Maisons-Laffite in 1994 and Wandering Star in the E.P. Taylor Stakes at Woodbine Park, Toronto, Canada in 1996. Further Group 1 successes followed, with Arctic Owl in the Irish St. Leger at the Curragh in 2000 and Soviet Song – who, incidentally, beat subsequent Oaks winner Casual Look – in the Meon Valley Stud Fillies’ Mile at Ascot in 2002. Remarkably, Fanshawe also won the Champion Hurdle for a second time with Hors La Loi III in 2002. In a dizzying season in 2004, Fanshawe saddled Soviet Song to win four more Group 1 races, including the Falmouth Stakes at Newmarket and the Sussex Stakes at Goodwood, and Frizzante in the Darley July Cup at Newmarket. Those wins, plus another 39 in total, catapulted his earnings to over £1 million for the season for the one, and only, time. Soviet Song was named Cartier Older Horse of the Year in 2004 and returned to the July Course in 2015 to win the Falmouth Stalkes for a second time. On June 18, 2011, Fanshawe completed a notable Royal Ascot double, courtesy of Deacon Blues in the Wokingham Stakes and Society Rock in the Golden Jubilee Stakes just 35 minutes later. Deacon Blues remained unbeaten for the rest of the season, winning four Group races, including the Qipco British Champion Sprint Stakes at Ascot, while Society Rock went on to win the Betfred Sprint Cup at Haydock the following season. More recently, Fanshawe has continued to enjoy high-profile successes at home and abroad. The Tin Man, for example, won the Qipco Champion Sprint Stakes in 2016 and the Diamond Jubilee Stakes in 2017. Owned by the Fred Archer Racing Partnership, the half-brother to Deacon Blues was named after the nickname by which Archer was known. Kevin Ryan has occupied Hambleton Lodge, Hambleton, Thirsk, North Yorkshire since being granted his training licence in 1998. Formerly an accomplished conditional jockey, Ryan spent six years as head lad to Jack Berry and a further four as assistant trainer to Richard Fahey before branching out on his own. He saddled his first winner as a trainer in July, 1998, when Komlucky won an apprentice handicap at Catterick. Less than a year later, he won his first Group race, the Weatherbys Ireland Greenlands Stakes at the Curragh, with Eastern Purple. In 2002, Ryan acquired Halmahera, labelled a ‘nearly horse’ after finishing second twice in the Stewards’ Cup at Goodwood and once in the Wokingham Stakes for previous trainer Ian Balding. Nevertheless, the 6-year-old started favourite for the notoriously competitive Portland Handicap at Doncaster that year and duly obliged, finishing strongly to win by a short head. Halmahera returned to Town Moor to win the same race again in 2003, and again in 2004. Following his unprecedented third consecutive success, Ryan said of his veteran sprinter, “I bought him three years ago for someone else for 40,000 guineas, which was a lot of money for me at that stage in my career”, adding, “…but he looks cheap now”. In 2005, Ryan saddled his first winner at the highest level, Amadeus Wolf in Middle Park Stakes at Newmarket, and wasted little time in adding his second, Palace Episode in the Racing Post Trophy at Doncaster, less than a month later. That season he amassed more than £1 million in total prize money for the first time. Further Group 1 success followed, with Desert Lord in the Prix De l’Abbaye de Longchamp in 2006. In 2007, Ryan trained Advanced to win the Ayr Gold Cup – a race he has since won three more times, with our Jonathan in 2011, Captain Ramius in 2012 and Brando in 2016 – and saddled over 100 winners in a season for the first time. More recently, he has added to his Group 1 tally with Astaire in the Middle Park Stakes in 2013, The Grey Gatsby in the Prix du Jockey Club at Chantilly and the Irish Champion Stakes at Leopardstown 2014 and Brando in the Prix Maurice de Gheest at Deauville in 2017. All in all, Ryan, 51, has saddled 1,476 on the Flat, but we shouldn’t forget his occasional forays into National Hunt racing, which have produced 43 winners over the years. His 5-year-old Beyond The Clouds, for instance, is unbeaten in three starts over hurdles and reportedly heads to Aintree, where Graded company appears the next logical step.